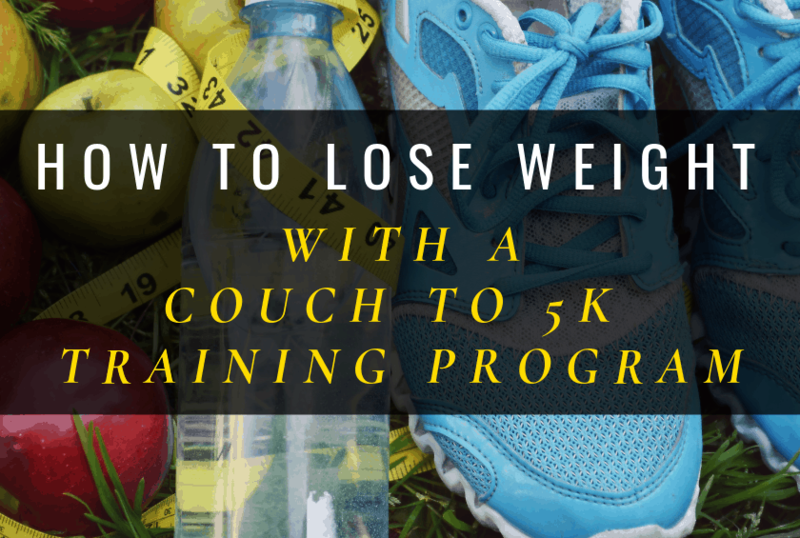 Chances are that if you’re looking into a Couch To 5k training program, you want to lose a little bit of weight and start a healthier lifestyle. The good news is that running is a great way to shed those extra pounds! We’ve compiled a short list of tips on how to lose weight with a C25k program. In just a short amount of time, you’ll be happier, healthier, and more fit. This goes without saying, but in order to lose weight with the C25k training program, you have to actually be doing what the plan says, day in and day out. If you miss a day once or twice, that’s one thing, but if you’re constantly making excuses or figuring out ways not to work out, chances are that you won’t complete the program. Be sure that you don’t sabotage your own efforts when you start the C25k program. One of my running friends encouraged me to not tell people I was training for a half-marathon until I was about a month into my training. The reasoning is that I would get the endorphins I wanted to get from running/exercising from the well-wishes and congratulations of other people, and it would make me lose motivation. As a result, I’d encourage you to tell one close friend and your partner/spouse for accountability reasons about your C25k program, but leave it at that for a couples weeks. Then you’ll be more motivated to complete your program. 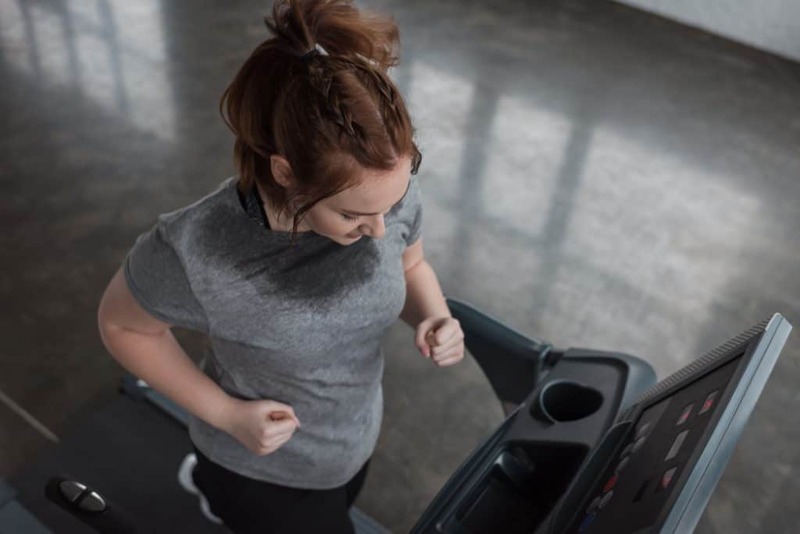 As a good rule of thumb, you can burn about 100 calories per mile that you run, so if you’re running 2-3 miles during your C25k training, that’s 200-300 calories in a roughly 30-minute workout. Sprinting (or high-intensity running) in particular is a great way to burn calories because it has an “afterburn effect,” where you’re burning calories even after you run. You may even want to consider running early in the day. I hear you groaning already! It’s hard to get out of bed in the morning, but studies suggest that people who work out in the morning tend to lose more weight than people who work out in the evenings. Plus, you can burn more calories in a fasted state. But don’t do any high-intensity running! Even if you start running regularly with your C25k program, you probably won’t lose very much weight if you don’t change your diet at all. In other words, you can’t outrun your fork. It’s great if you go for a run, but if you come back and eat a lot of calories because you feel good for running, you’re not going to lose weight. You might actually gain weight! A 2009 Time magazine article had an interesting anecdote. One man was talking to his wife’s friends, who kept complaining that they were running an hour a day and weren’t losing any weight. He decided to ask them what they were doing after they run. It turns out that one group always stopped at Starbucks to get muffins after their runs. In other words, they completely negated any possibility of weight loss by eating those muffins. Don’t worry! While you’ll want to avoid the post-run snacks, you don’t need to radically alter your diet. However, you do need to figure out what small, smart changes you can make to what you eat over a long period of time. You could add in one or two salads a week to replace more caloric sides during dinner. You could cut out one trip to a fast food place each week, saving you time and money. No matter what your changes, figure out what you can consistently sustain. Even decreasing the size of your meals by 20% might do the trick, as research suggests that individuals can eat about 20% less during meals and still feel satisfied (try cooking in a smaller pan, or eating off a smaller plate). We have been trained in American society to eat beyond our natural satiety level, so we often find ourselves overeating. Even just taking the time to get up in the middle of a meal to walk around will help your food settle and make you more satisfied and less hungry sooner. Remember that you’ll lose about a ½ pound a week if you regularly work out and don’t consume additional calories. That’s why it’s important to keep a food diary. It’s easy to underestimate the calories and food that you eat. A food diary will also help you with your runs. If a run goes really well, you can see what sleep and food you had the day before. If it goes poorly, you can see what foods to avoid. In essence, though, you need to eat less and move more. The greater number of calories you can cut out of your diet and the more you can exercise, the more pounds you will lose. Make sure that you’re getting plenty of sleep. Running is a great way to help you sleep better, and better sleep will help you burn more calories. It’s a win-win if you can just get yourself into a routine of running at least three times a week. And remember that you’re going to be most successful if you focus on making your C25k plan a lifestyle change. Focus on creating healthy habits, as opposed to immediate weight loss. It will be easier to keep off the weight that way. The C25k should be only the beginning of your change. It’s one thing to train for an event; it’s another thing to keep it up. If you focus on keeping up your habit of running a couple of times a week and maintaining a healthy diet, you will likely see not only weight loss, but also keeping the weight off. You can’t ever “be done” if you want to keep the weight off. The C25k program is just the catalyst for your new healthy living. As you keep running more, you’ll start to see less substantial weight loss, as your body is adapting to its more-fit self. When you start to lose those extra pounds, your body doesn’t need as much energy to function, so the energy your body burns at rest will decrease. That’s why it’s important to strength train so that you don’t lose both fat and muscle mass. You can burn far fewer calories at rest when you have more fat mass as compared to muscle mass, but if you don’t strength train, you will lose both fat and muscle mass, making it harder to burn calories at rest. You also should not forget to vary your routine, as it makes your body learn new things, and you will experience a less intense plateau. This means that you’ll want to consider running longer than the length you have been running, as well as working on some hill training and intervals. Remember that at the end of the day, the best way to lose weight with a C25k program is to find a program that you enjoy and will stick with. That means that you need to have a good understanding of what your abilities are. You might be at the level where you need a C25k that has a lot of walking and a lot less running. Find a plan like that online (or use our free plan below) so that you will stick to it. Or you might be on the other end, where that would be too easy and boring for you. Look for a more aggressive plan. In any case, make the decision today that you’re committed to losing weight, and follow through on it. Taking the time to write down specific, manageable goals is a great way to make your plan a reality. Remember that it’s a marathon, not a sprint. You can see results if you complete the C25k program, alter your diet, and develop good habits, but they will be slow. Don’t expect something dramatic immediately, and over time you’ll start to see your hard work pay off. To help get you started, we’ve provided a free C25k Training Plan below. Use the button if you’d like to download a PDF version for free.